Not only do these plants symbolize fortune, strength, longevity and other desirable attributes, they are so easy to grow! 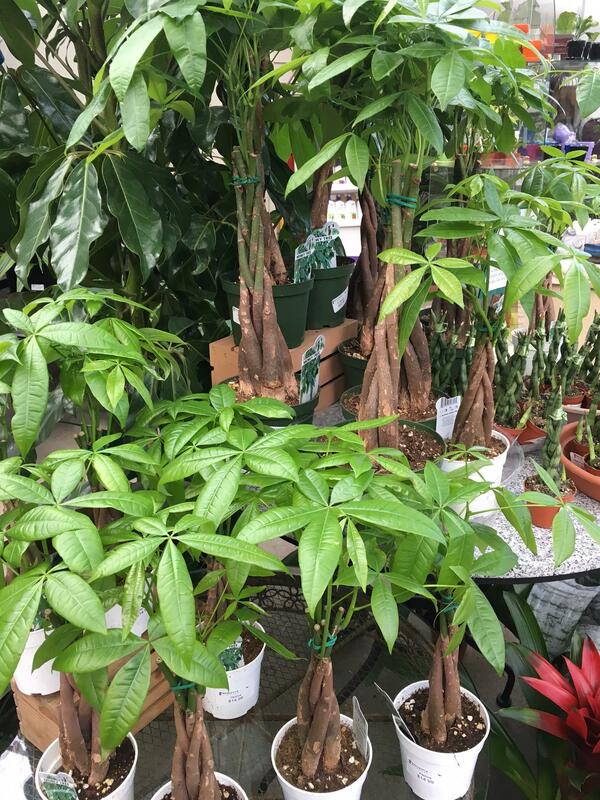 PACHIRA: Aka Money Tree. Makes a great gift for business grand openings, house warmings, and office/home Feng Shui improvement. Give bright indirect light (can tolerate lower light) and water thoroughly, letting dry a bit between waterings. Likes being pot bound. 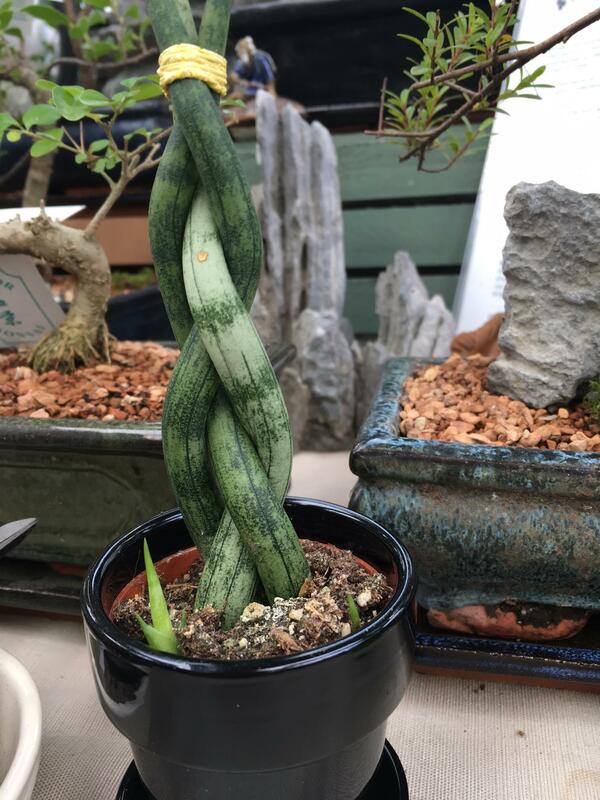 SNAKE PLANT: Sansevieria cylindrica Unusual version of the traditional snake plant, used to clean the air and for feng shui. Tubular leaves grow in a rosette and are available straight or braided. Bright to low light. 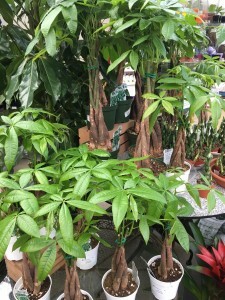 Easy to grow long-lived plant, provided you allow the soil to dry between waterings. Bellevue Nursery is pleased to offer you some rare specimens of fruiting and flowering plants commonly found in Asia and Europe. The majority of these young plants are hardy in the Pacific NW, and will be a conversation piece in your garden. PERSIMMON ‘Saijo’: This very popular Japanese variety bears abundant crops of conical-shaped, orange-red, very sweet and juicy fruit. Early ripening and one of the best for drying. It is ready to eat when soft and tender like a ripe tomato. Full sun and well-drained soil. Zone 7. JAPANESE FLOWERING PLUM ‘Bungo’: A famous and revered variety found in gardens throughout Japan. Spectacular in bloom, it is covered with profuse, light pink, fragrant flowers. 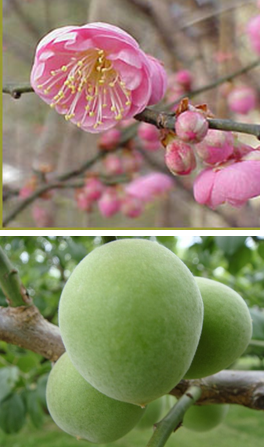 Abundant, apricot-size, light green fruit in August, often used for pickling & syrups. Partially self-fertile. Full sun and well-drained soil. Zone 6. GREEN FUKI: A spectacular giant perennial, with huge round leaves and 3 ft. long stalks that are a prized vegetable in Japan. White, daisy-like, fragrant flowers also used in Japanese cooking. Likes moist soil and can spread rapidly, dying back in the fall. Full to part shade. Zone 5. Come in early for best selection ~ quantities limited. 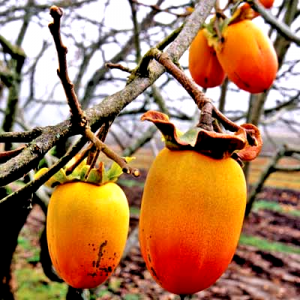 Also available: Chinese Haw, Loquat, Pomegranate, Figs, Jasmines, Colossal Chestnut, and more! We love the strange and unusual! Please check out our collector’s corner for some not-so-common plants we think will entice and fascinate you. Enjoy the freshest mushrooms ever, at a fraction of the price at the grocery store or farmer’s market. Ask about our Oyster Mushroom Kit which includes everything you need to grow and harvest several small crops of these delicious fungi. It’s surprisingly easy to grow Oyster Mushrooms by following a few simple steps. Great educational activity for the kids, too. Oyster Mushrooms have been used for thousands of years in Asia as natural medicine. Oyster mushrooms are rich in antioxidants and possess natural anti-bacterial properties.